Summary: “The player is the star” - Futuristic vision for Mixed Reality World is a presentation about our achievement and showing future vision for mixed reality entertainment. I hope attendees will inspire our futuristic vision and contribute to growth of mixed reality community. 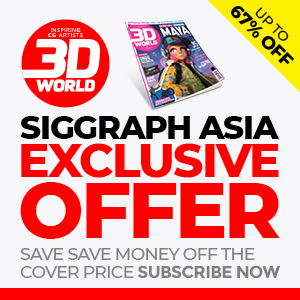 We can provide demo at SIGGRAPH Asia 2018. 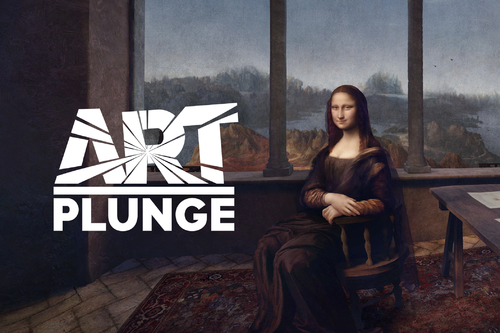 Summary: Art Plunge is a virtual reality experience where you can get the feeling of being transported into the inner worlds of famous paintings. We have created subtly animated interpretations of classics like Mona Lisa, Starry Night, the Birth of Venus and the Creation of Adam. Summary: Our demo provides seated participants a sensation as if they are traveling to the several tourist sites by presenting multisensory stimulation to their whole body. They can hear and look around the environment of the playing-omnidirectional video but they cannot change the pathways of walking. 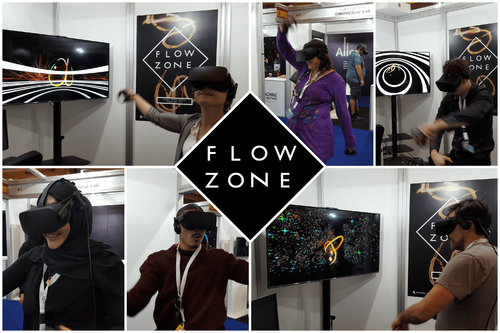 Summary: Flow Zone is a VR synesthetic playground where players become both DJ and dancer simultaneously, blending visuals, audio, and haptics into one synchronized experience to effectively allow players to enter a flow state. Using the body as an instrument, players dynamically create and engage with their personal immersive soundscape. 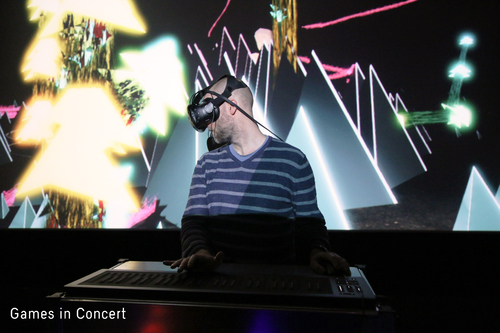 Summary: Games in Concert explores opportunities of collaborative music making in a virtual reality environment, blending the setting of a concert with elements known from game design. The musical work is thereby embedded in the space by multiple performers to be enjoyed by the attending audience in real-time or independently. 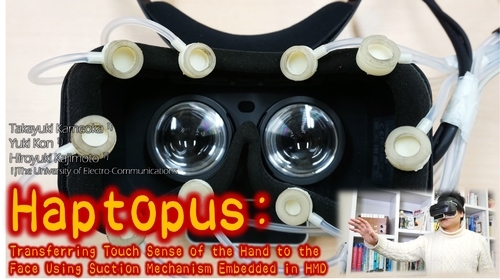 Summary: We developed Haptopus with built-in suction haptic presentation mechanism in HMD. Normally, it is hard to play VR experience with haptic feedback, but if you use Haputopus, you can play by wearing only HMD. We adjust the suction pressure before the experience to prevent leave a mark user's skin. Summary: We present HapTwist, a toolkit that facilitates the creation of interactive haptic proxies for hand-graspable VR objects using Rubik's Twists (RTs). The toolkit consists of the algorithm that generates RT-based structures, and a set of software scaffoldings and hardware modules to support the interactivity of the haptic proxies. Summary: Islands/Seom creates the extension of existence and transforms our being into a landscape. Summary: Our game adapted from Taiwanese comic master Yeh Hung-Chia’s classic work “Little Hero”. 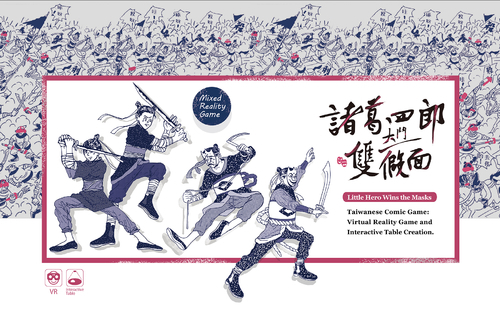 The specialty of this game is its emphasis on sociability, which can instantaneously connect VR game and interactive table together, making single player who plays Little Hero in VR game interact with other players in physical reality. 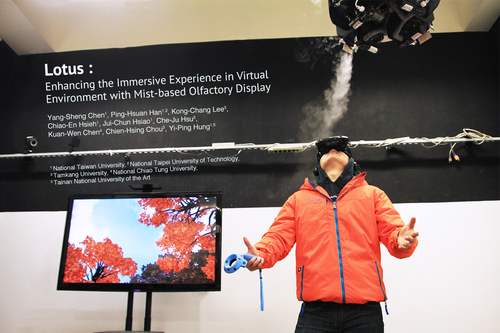 Summary: In this work, we present an immersive experience with midair odor, which uses a steerable midair olfactory display and an airflow guiding module. Through hanging Lotus on the top of the physical space, users can receive the odors and wet air feedback additionally. Summary: We propose an approach that breaks down the haptic experience into multiple elements and assigns optimal devices to each element, either a physical device or an electronically-controllable device. 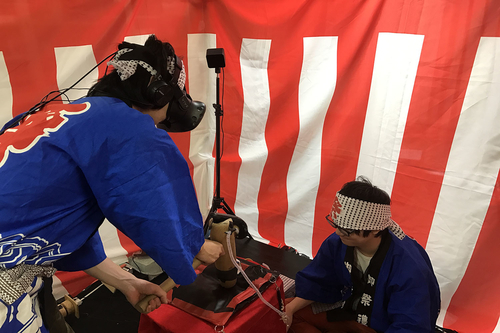 As an example of this design approach, we built a VR system that provides the experience of Mochitsuki. Summary: We present an interactive mixed reality (MR) experience using pre-recorded and live streamed 360° panoramic videos shown in head mounted displays (HMDs). This experience provides the illusion of interacting with creatures in a video, which are actually 3D virtual objects seamlessly composited into a 360-video background. 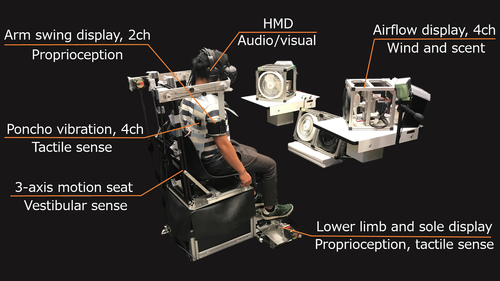 Summary: Muscle Action VR is an embodied learning virtual reality environment to promote embodied, multi-modal mental simulation of anatomical structures and functions. 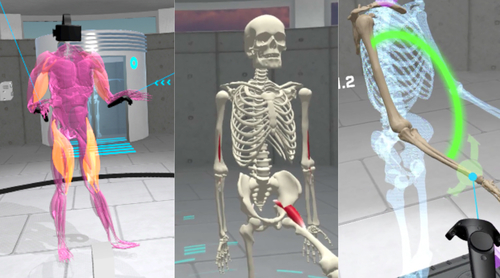 Users can draw muscles directly on a skeleton, manipulate them, and dynamically simulate movements in a 3D environment. 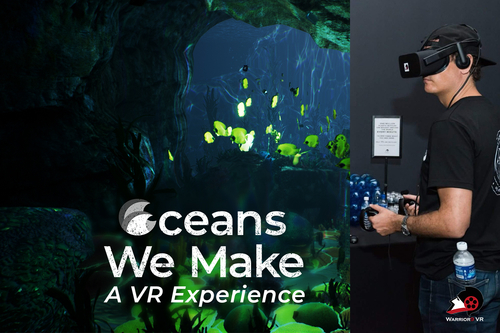 Summary: Oceans We Make (OWM) is a 3-minute long immersive and interactive virtual reality (VR) experience that encourages participants to question their use of plastic. The experience blends beautiful cinematic graphics, engaging game mechanics and an emotional narrative as a novel form of VR storytelling to drive positive environmental impact. Summary: Rapture of the Deep is an interactive Virtual Reality experience with eye tracking. 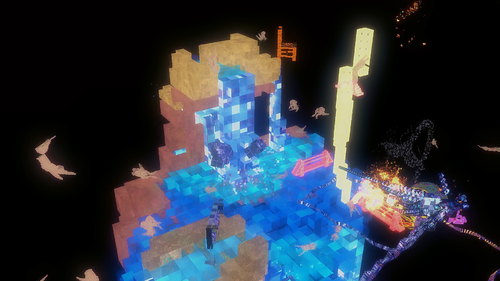 The Experience is set in an underwater scenario using eye tracking as the main mechanism which allows the environment to react to the player's gaze and attention. Summary: Our MR based mobile remote collaboration system supports natural collaboration process to reproduce face-to-face collaborative experience with simple requirement for the local worker holding a smart phone attached with one depth sensor while the remote expert wear a light-weight self-contain headset. Summary: Self-umbrelling is a HMD interaction system that provides an experience approximating an out-of-body-experience involving the reversal of the subjective perception of the direction of gravity. Specifically, opening an umbrella while lying on one's back switches one's view from 1PP to 3PP originating from a position just above the supine body. 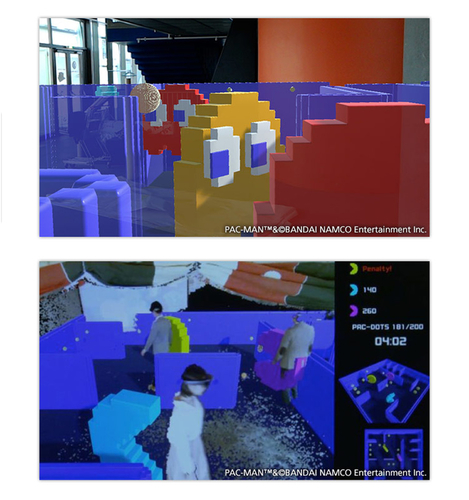 Summary: We present a mixed reality application utilizing 3D scene parsing. 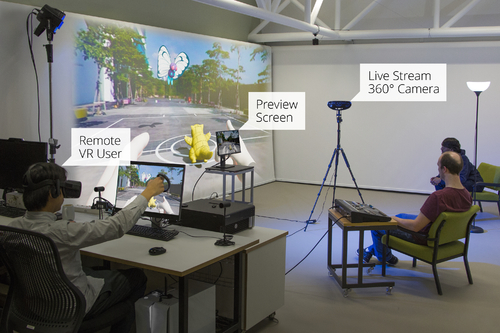 Users scan their room and interact with a virtual robot in the real room they just captured. The robot behaves correspondingly to the real object's category. 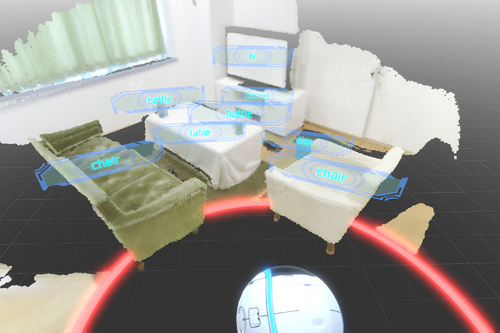 Therefore, users can enjoy context-aware interaction between the virtual character and the real objects. 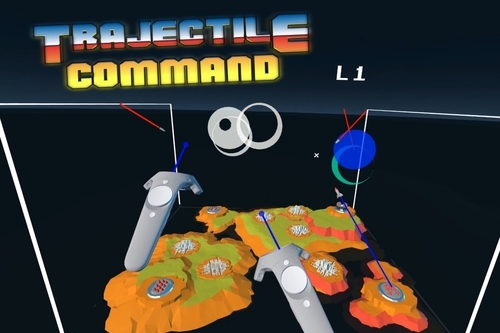 Summary: Trajectile Command is a free WebVR virtual reality game that can be loaded and played in a web browser. It's an arcade style game where you must defend your cities from enemy missiles and bombers.